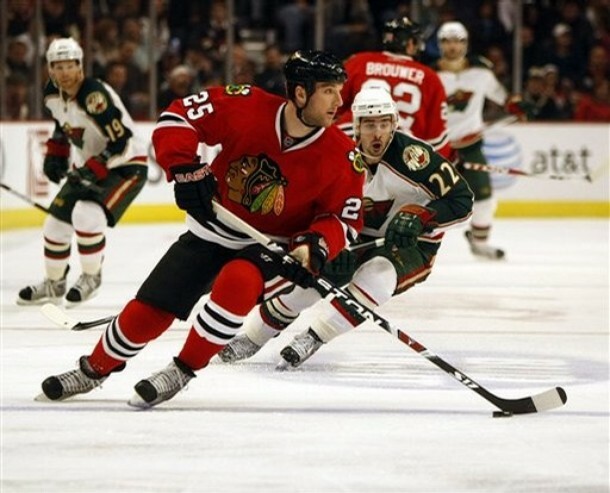 The Chicago Blackhawks traded Cam Barker to the Minnesota Wild for veteran Kim Johnsson and prospect Nick Leddy. Barker, 23, is in his fourth season and has 15 points in 52 games this season. He is still young and has a lot of potential but the Blackhawks thought they had a better shot at the Stanley Cup with a more experienced defenseman. Johnsson is turning 34 next month has 15 points in 52 games so far this season. His numbers are practically identical to Barkers but he has played in 43 postseason games during his 10-year NHL career. This gives Blackhawks head coach Joel Queneville a more veteran defense and has different options with the pairings. Another thing that makes this trade key for the Blackhawks is the value that Johnsson has on special teams. It all begins with penalty killing, where Barker was not used. Johnsson is also playing on the powerplay and has been used on both special teams through the first two games as a Blackhawk. He already has a goal in those two games. With the number one pairing of Duncan Keith and Brent Seabrook, arguably one of the top pairings in the league, not breaking apart anytime soon that leaves Johnsson to play along side Brent Sopel as the number two defensive pair. Niklas Hjarmalsson is another option. Quenneville will have it all figure out by the time playoffs come around. Barker is still young and was no longer fit into the Blackhawks plans. He was drafted third overall behind Alexander Ovechkin and Evgeni Malkin, so he has credibility in that sense and some potential still left in him. However, he was not exactly playing up to what he should be after four years in the league. No one knows if Barker will ever live up to expectations but looking at the trade currently Chicago got rid of a minor contributor for a player that can make an impact right away and down the road come playoffs. The Blackhawks also got Nick Leddy who was the Wild’s first round pick in 2009. Currently he is playing for the University of Minnesota as a freshman. Chances are he stays all four years of his college eligibility unless he can go into training camp and show that he is ready to contribute. Keep an eye on this kid as he may turn out to be the key player of this trade. Both teams received something good out of this deal but Chicago definitely came out on top in this trade. 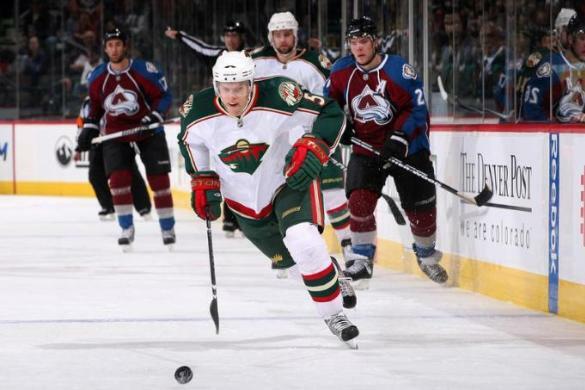 Barker will be a top four defenseman for the Wild and be a big part of their future if he sticks around. The Blackhawks obtained a veteran defenseman that brings experience to the team and will be more of an impact in the playoffs. Leddy is the less talked about player in this trade because he is not as well known. I believe that he will turn out to be the big name in this deal once he steps in the NHL and is a steal because the Wild could have gave up a different prospect. As of now no one has got robbed in this trade. It will all depend on whether Barker lives up to his potential, the Hawks make a deep playoff run with Johnsson, and if Leddy turns out to be a top four defenseman. Only time will tell.